Dr. Yao's research interests are to understand the pivotal roles of epigenetic regulation, especially various forms of covalent DNA and RNA modifications, in normal brain functions, as well as how dysregulation of these processes may contribute to human brain disorders. 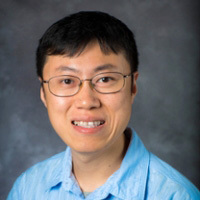 Bing Yao, PhD is Assistant Professor in the Department of Human Genetics at Emory University School of Medicine. Dr. Yao received his PhD from University of Florida in Gainesville, Florida. He completed his postdoctoral training at Emory University in Atlanta, Georgia. Dr. Yao's long-term research interests are to understand the pivotal roles of epigenetic regulation, especially various forms of covalent DNA and RNA modifications, in normal brain functions, as well as how dysregulation of these processes may contribute to human brain disorders. By using the mouse as a primary model system, his lab combines genetics, molecular biology, biochemistry, cell biology and bioinformatics systems to continuously push the boundaries of their understanding regarding the molecular mechanisms of these epigenetic markers in the central nervous system.